If you are applying for a job, it is important to write an effective resume. Many people who apply for jobs do not concentrate much on writing impressive resumes. For many a resume is just a formality. Often they copy resume templates from the Internet and make modifications and use them. The result is a dull resume that fails to impress. It is not a good idea because it displays a lack of genuine interest. By writing an effective resume, you can stand apart from the crowd and genuinely impress the employer. 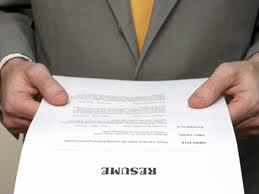 A resume is not just a document which lists your skills and qualifications. It is an advertisement of yourself using which you try to convince potential employers to hire you by showcasing your skills and talents. In other words, it is an advertisement for selling yourself. If you look at it from this direction, it is quite obvious that you need to put a lot of effort into making it very impressive. However, writing an impressive resume is not very difficult. All you have to do is concentrate on a few aspects of it and you will have a wonderful impressive resume in no time. Recruiters often have to go through a large number of resumes and select potential candidates for interviews. They have very less amount of time to do this and so they often don’t go through resumes carefully. For this reason, it is important to keep your resume simple and straightforward. You should concentrate the most on highlighting your skills and achievements. A single glance at the resume should tell the recruiter all about you. Avoid using snazzy styles of writing because it can hide your skills and achievements. Always use a standard layout for your resume. You should also use standard fonts such as Times New Roman. If you use nonstandard formats and fonts, your resume may not display properly on the recruiter’s computer. It is best to go for simple layouts without any colors etc. rather than complicated layouts consisting of tables and other bells and whistles. Remember, you should emphasize your skills and achievements. Everything else is unimportant. Spelling and grammatical mistakes should be avoided at all costs. They can give the recruiter a wrong message about you. Always triple check before e-mailing out your resume. If your writing skills are not very strong, take the help of a friend or use a software application such as WhiteSmoke. A unique resume will stand out from the crowd and gain the attention of the recruiter. Try to make your resume as unique as possible. Don’t use standard resume templates. Of course, you can use these to get an idea about the format and style of your resume. However, don’t use them without making significant changes. A unique resume that highlights your skills and qualifications will definitely grab the attention of the recruiter. Aditya Venkatesh is a technology-enthusiast and blogs on www.adiwebs.com. In the past, he worked as a technical writer for a well-known web development company in Hyderabad, India. His other interests include photography and DIY projects.